Home » What is a Live Casino? Unless you’ve been living under a rock for the last few years or have simply never played at any sort of casino before we’re sure you’ll have heard about live casinos before – as they’re completely taking the online gaming world by storm! However, even if you have heard of a live casino before you may not know just what that is or how it works which is why we’re here to give you a full rundown on everything you need to know about a live casino and how it works so you can start reaping the rewards that only a live casino can provide! To start things off we think we should probably give you a little bit of a rundown on exactly what a live casino is and what makes it so popular with players today. Well in short, a live casino is a place where players can soak up that rich casino atmosphere and still have a personal touch to their gaming experience while still getting the freedom and luxury of choosing exactly where and when it is that they play! How this is all possible is through live streaming which has only really taken off over the last few years. What this means is that there is a constant live video feed of each table at an online casino who will have a dealer there waiting to play out your favourite games and offer you a little bit of chit chat in the process. If you’ve ever seen the late night casino programs on TV before then you can think of it as similar to this, except you get to choose the game you’re playing and you’ll be able to talk to the dealer in real time as you do. If this sounds like just your cup of tea you’ll be pleased to hear that getting on to and playing at a live casino site couldn’t be easier and you’ll actually have quite a bit of choice of where to play as well. Basically every single online or mobile casino offers players a live casino site section to their site now and with as much as 50% of online players choosing this way to do their gaming it doesn’t come as much of a surprise! Whichever site it is you do choose to call home they’ll have a “live casino” tab on their homepage for you to select and this will take you to the lobby where are all games are being offered. To make things a little easier for you each site will have broken down their tables into categories which usually start with what table game it is you’d prefer, if you’d like the basic or a variation of that game, what stakes you want to be playing for, and then finally a choice of all the dealers who are offering that game at those stakes. There’s surprisingly quite a lot of choice when it comes to game selection at a live casino and you’ll find there’s far more here than at your local land based casino too which is great news if you like some of the lesser known games such as Sic Bo or Baccarat! As soon as you click the table you like the most then all the hard work is done and your live casino gaming experience will begin with the site taking you right into their casino and face to face with your dealer. The dealer will usually open with a quick hello and if you ever want to chat with them there’s a message box for you to send messages which they’ll normally reply to instantly. You’ll also notice when you’re taken into the casino that you can see your account balance at the bottom of the screen along with a bunch of different virtual chips. You’ll use these chips to select your bet amount and to do that you just click the chip you want and then click on the betting table to place your chip. It really is that simple to place a bet and there’s usually a timer for things like the roulette wheel telling you how long you’ve got to place your bet before the ball begins to spin. 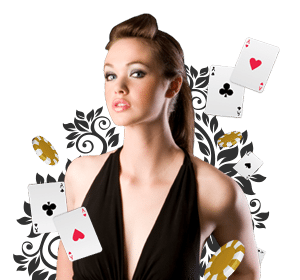 If at any point you need to make a decision in the game such as to stick or twist in live blackjack then your options will appear before you on the screen and you simply select which option you want to do. When the game ends if you ended up a winner then you’ll notice your account balance is instantly credited with your winnings ready for the next bet. That’s everything you need to know on how to actually play the games at a live casino site and you’ll find there’s a bunch of added features you wouldn’t see in a live casino site to improve your playing experience too such as a repeat bet feature saving you the hassle of moving all your chips about as well as extended stats about the previous games in case you like to follow the trends. Not only will you now be armed with everything you need to know about live casinos to start playing in the games but you’ll also find the gameplay on the site’s are incredibly intuitive and you’ll pick up how to play far quicker than you ever would have thought possible everything becoming second nature to you after only your first session! There’s plenty of advantages to playing at a live casino site over anywhere else nowadays which is why they’ve become such a popular destination for anyone looking to have a little fun. Getting to play on your own schedule while still getting an immersive experience is one of the best things that has ever happened to players as now 10 minute downtimes throughout the day can be turned into action packed adventures instead. That’s not the only draw though as many players simply prefer the extra choice of games and dealers you get at a live casino while many others are much happier with the huge bonuses that come from playing at a live casino which is why regardless of what it is you’re looking for a live casino is the place to be!